This Keto Omelet recipe is so easy! The perfect keto breakfast or have it for lunch and dinner. We all agree that eggs are a superfood full of healthy fats, amino acids, vitamins, nutrients and just enough protein. I personally try to get eggs into my diet every day and omelet gives you plenty of recipe options. 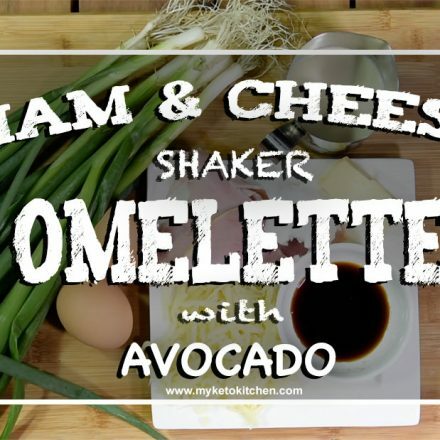 We’ve thrown together a quick video to show you how easy it is to make our LCHF Ham and Cheese Shaker Keto Omelet. Shakers are quite cheap some time you’ll get them thrown in with protein powders. Slice the ham and scallions. Crack the eggs into a protein shaker ensure you have removed the shaker ball. Add the ham, scallions, cream, soy sauce and cream. Shake well, until all combined. Place a frying pan over medium heat and melt the coconut oil. Add the butter and heat until bubbling. Pour the contents of the shaker bottle into the pan and spread out with an egg flip. Cook for 4 minutes or until the eggs are almost set. Fold the sides of the omelet into the center and cook for another minute. Eat your Ham and Cheese Keto Omelet often, they’re good for you! We used a shaker bottle this one. We love eggs! And Keto Omelets are the perfect breakfast, lunch, and dinner. 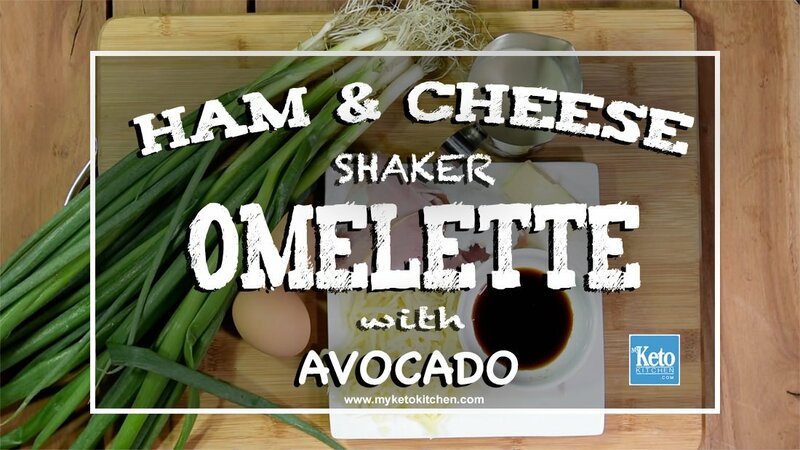 We've thrown together a quick video to show you how easy it is to make our LCHF Ham and Cheese Shaker Omelet. Slice the scallions and leg ham. Crack the eggs into a shaker bottle, ensure you have removed the shaker ball. Fold the sides of the omelette into the centre and cook for another minute. If you want to make more of this LCHF Ham and Cheese Shaker Keto Omelet recipe simply adjust the servings in the car above.